LinkedIn continues to extend its services and offerings as it seeks to maintain and grow its position as the predominant social media channel for business professionals. One of its more recent enhancements is LinkedIn Publishing. And for B2B marketers it is likely to become one of the most important connection and engagement tools in your social media arsenal, eclipsing LinkedIn groups as the preferred means to distributing your content and growing meaningful connections. If you’re not already using LinkedIn Publishing, you’re missing out on a tremendous opportunity to grow your audience and breathe new life into your best content. When you publish on LinkedIn, each of your first level connections is notified via status update in their homepage newsfeed. When one of your first level connections likes or comments on your post, their first degree connections will be similarly informed, thereby spreading word of your content to people you otherwise could not reach. And as those second and third level connections like and comment, they spread the word about your post to others with whom you have no connection whatsoever. Anyone who views your post can choose to follow you, whether they are already connected to you or not. In other words, with the right content you have a legitimate opportunity to reach tens of thousands of people at absolutely no cost. That’s exactly what happened when Marketer Wendy McClelland posted “Why I Say No to Coffee Meetings.” After averaging 200-300 views for her first seven posts, she received 50,000 views and more than 600 comments for this one. One popular and successful tactic LinkedIn members have embraced is the repurposing of content that has been well received elsewhere, including your blog. Repurposing content gives you a chance to make it better, adding all the touches and changes you didn’t think about until after you’d published the first time. If it’s an old piece, you might want to tweak the title and update the images. And of course, make sure to verify all the links are still active. If the number of followers is greater than the number of first-level connections you have, that means you’ve earned followers outside your connections. Clicking on Followers will show you more about them. Hovering over the dots in each section will tell you what that dot represents. Not only is this a great way to see who makes up your audience, but it also points out where to reach out for new connections in terms of Seniority, Industries, and geographical Regions. 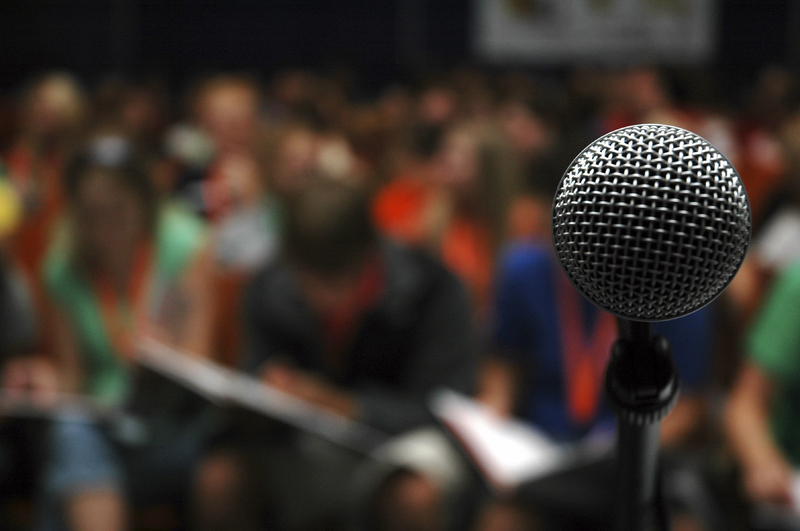 If you are happy with your audience, use the data shown here to refine your choice of subject matter and voice. 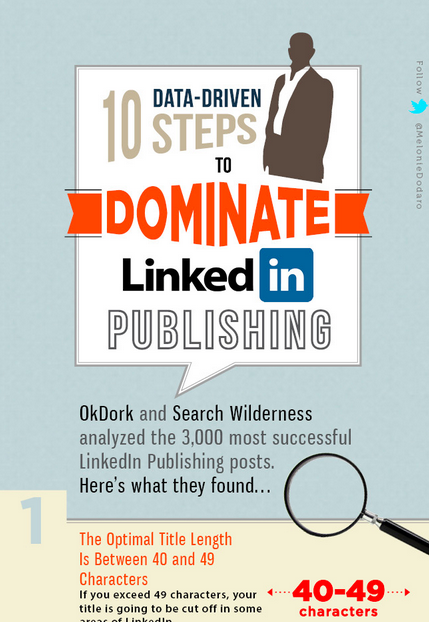 Paul Shapiro (Search Wilderness) analyzed 3,000 LinkedIn posts and shared the data on OkDork. Melonie Dodaro’s Top Dog Social Media turned that analysis into the infographic below (click to view the entire graphic). How Does LinkedIn Publishing Fit Into Your B2B Marketing Program? Many B2B marketers look at every new social media tool with skepticism. But a healthy dose of skepticism shouldn’t keep you from embracing affordable tools that deliver. If you’re interested in building your lead generation and market engagement programs, we can show you how to effectively layer the right social media tools and channels for your business.